Saskia Beudel is an Adjunct Associate Professor in the Centre for Creative & Cultural Research at University of Canberra. She lectures in creative writing and literary studies. 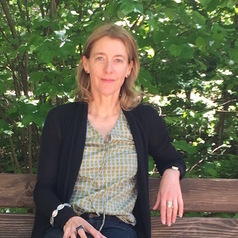 Her research is concerned with environmental writing and narratives, and history of science. She is the author of the novel Borrowed Eyes (Picador 2002); and the non-fiction books A Country in Mind (UWAP 2013) and Curating Sydney: Imagining the City’s Future (with Jill Bennett, UNSWP 2014). Her books have been shortlisted for the NSW Premier’s Literary Awards, the Dobbie Award and the Adelaide Festival Awards for Literature.